I got married almost a year ago. A month into my marriage, my husband and I were sitting on the porch of his parent’s cabin in Western Colorado on vacation with his parents. My in-laws might be the greatest people on the earth… besides my own parents. They have shown me love and kindness and generosity more than I could have imagined. They go beyond their title of in-laws and have succeeded more than I have ever prayed for. But, that’s a different story for a different time. Their land and their home is a place with no wifi, no phone connection, and honestly no connection to the outside world unless you drive 4-5 miles off their property towards a city that is actually on a map. It’s beautiful and quiet and serene. Refreshing and different—in the best way possible. At first it was an adjustment for me. Absolutely no way to the connect to the outside world. Something that was in my daily life… hourly life really. But after letting go of expectations of connecting to everyone I wanted when I wanted, I began to love the stillness and freedom that comes with not being tied down to a phone or distracted by the voices of others. God used this time to reset my soul. And that is what God did on this trip… he restored and refreshed my soul. That’s the kind of business God wants to do in our lives. But to accomplish that, God knew He needed to “make me lie down in green pastures” or make me slow down and disconnect enough to hear my Heavenly Father speak over other voices. Taking away distractions that were filling my heart, soul, mind, thoughts, and spirit. Especially after the wonderful chaos that comes with engagement, planning a wedding, getting married, and honeymooning. During our ten days at the Colorado cabin, my husband Kirk, my father-in-law, and I started each morning in Colorado with a run in the mountain area on their property or doing a crossfit workout. Anyone who knows me knows that I can’t say no to any type of physical competition so I did my best to keep up with the guys. Each morning after the run, Kirk and I would shower, make breakfast, and do our quiet time together on their porch. And that brings me to the morning of July 24th, 2015 and our time together with the Lord on the porch. I had read a chapter from Shauna Niequist’s book Bittersweet earlier on the trip and was compelled to do something she talked about. Shauna talked about the importance of knowing what you stand for. She also talked about how she made a list of “things she does” and “things she doesn’t do”. You need to know both what you do and do not do—or you will get distracted. Funny, that is what God was talking to me about… distractions. So I thought… hey. We’re newly weds. We’re building our family and our covenant relationship each day. Why don’t we try it? It was one of those things that seemed pretty insignificant at the time. But really, it had a huge impact on the trajectory of our lives and our marriage. It brought a focus that was needed. It helped recalibrate our hearts to what God cares about. Because the thing is… You CANNOT truly stand up for what you are, who you want to be, and what you believe in if you don’t also know what you are not, what you are unwilling to compromise on, and what you are willing to give up. Our list became really extensive. And we thought and talked it over and it turned into a beautiful flowing list. One that we still add to today as our marriage progresses and our seasons of life change. Here are some examples of what made the list. Some are more serious than others. And some take more intentionality. Reading my list to Kirk felt really vulnerable at first. But, it began the process of restoring my soul. If you look at my last thing in each list, that is what I want to hone in on. That’s what God is teaching me about right now. And that is what gives my body, spirit, and soul restoration… not just in Colorado on that day but any day that I feel out of alignment and know that I need to be reset. How beautiful that sounds. But also ambiguous. 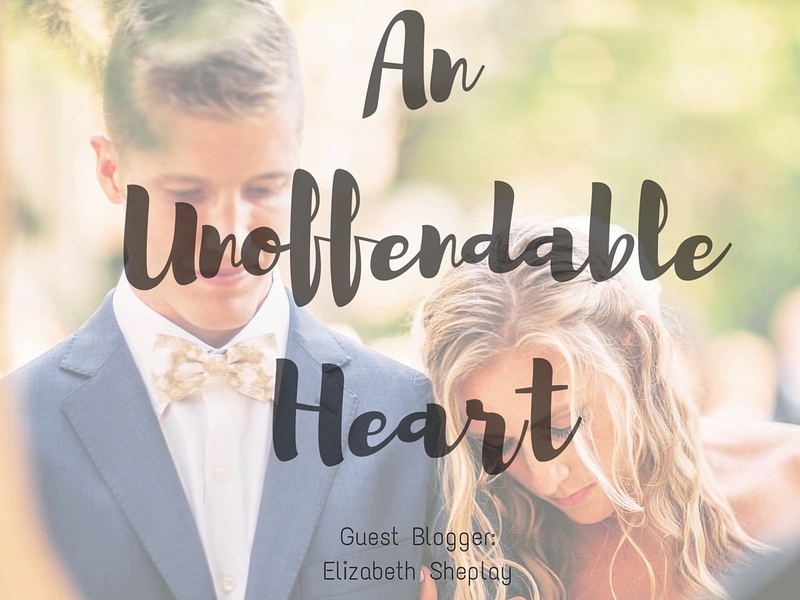 In a life full of other’s opinions, likes, posts, texts, criticism, praise, and any form of judgement and communication, bosses, coaches, teachers, teammates, family, and colleagues, I want to CHOOSE to have an unoffendable heart. Because I know “what I do” and “what I don’t do”. Because I know who I am and who I am not. Because I know whose voice matters above all else, and which voices are merely from the crowd. Because I know who my King is and who directs my life. Because I know how important it is to control what I can control. or as I like to think of it: they were unwilling to give-in to something that is on their “what I don’t do” list. But more importantly, they had unoffendable hearts towards God. I can tell all three of them have a strong history with the Lord. Enough history and time with God that they were willing to put their life on the line. Because they trusted King Jesus. One of the best lines in scripture ever (in my personal opinion) was when they said “But even if not…”. In Daniel 3:18, they respond to the King about to throw them in the furnace and their belief that God will save them. It says, "But even if He does not, we want you to know, Your Majesty, that we will not serve your gods or worship the image of gold you have set up." Such simple words with profound proof that they would choose to trust God no matter what. Whether God showed up the way they wanted or if He didn’t. That's because they new what they do and what they won't do. They DO trust God. And they don't measure God's goodness by circumstance. And that’s the compass I like to use to measure how my soul is doing. If someone says something that hurts, how do I respond? If someone pushes their judgements on me, how do I respond? With an unoffendable heart? An unoffendable heart is how Jesus walked on this earth. Jesus knew who He was, what He stood for, what He didn't stand for. Jesus also knew his list of "what He does" and "what He doesn't do". And that is a life worth following. So I challenge you and I challenge myself. Does your soul need restoring? Are you out of alignment? God is ready to lay you down in green pastures. He is ready to refresh you. I am almost done with my first year of marriage. Not a day goes by that I regret that morning on July 24th, 2015 in Colorado where my husband and I fought for what we do and what we will not do. It has made our marriage richer, our lives richer, and our relationship with the Lord richer. A strong no makes my yes stronger. So I pray for you and I pray for myself. Would we have unoffendable hearts in a world that shouts at us that we have the right to be offended. And may you always know that God is with you, ready to restore you... so that you can go on and do the things that on the list that are "The Things I do." Because the world needs people who are firm and planted and unoffendable.